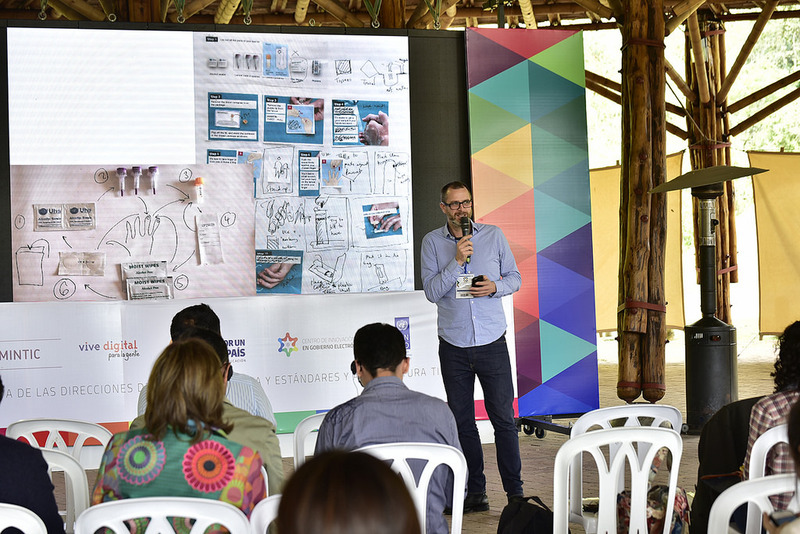 I received a surprise invitation in September from Angelica Bello (@hracangie) from the Colombian Ministry of ITC (@Ministerio_TIC) to speak at their annual e-xperience event (@Gobiernoenlinea). 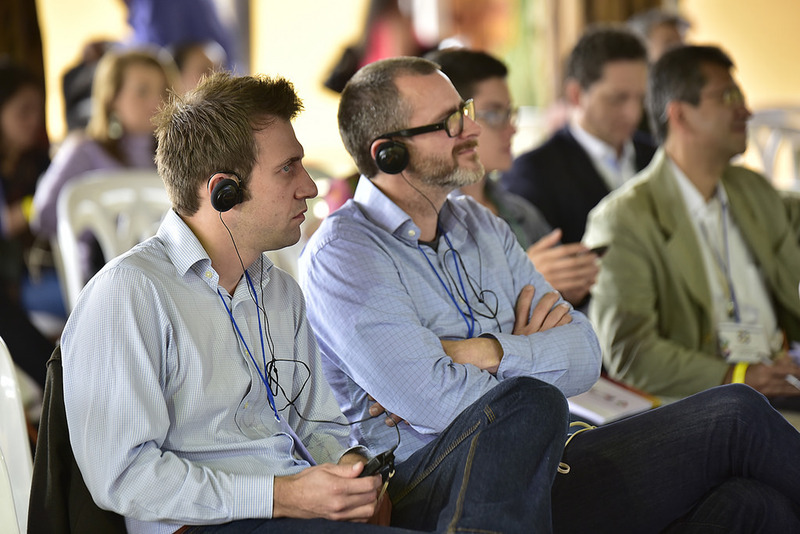 This two day conference is designed to boost public digital innovation in Colombia and Latin America by providing around 300 public servants with a series of talks and workshops. Angelica had attended my talk on SH:24 at Service Design in Government in London earlier in the year and felt it would provide an inspiring session. 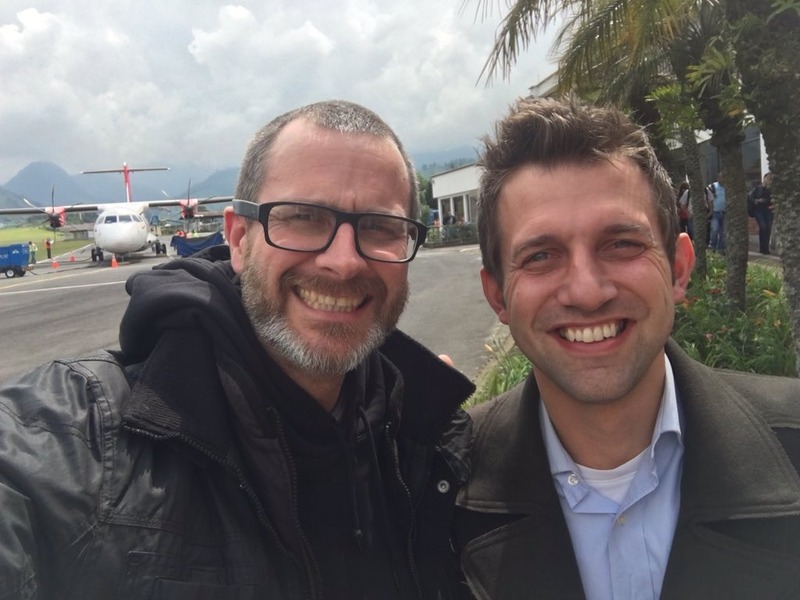 Two months later, I arrived in the mountainous coffee region of Colombia in the city of Manizales with Chris Howroyd (@chrishowroyd) from SH:24. During the outbound journey Chris and I had discussed at length the nature of innovation, the over specialisation of design and the importance of purpose in our work, all of which set us up nicely for the e-xperience ahead. We spent an interesting couple of days at the conference trying to keep pace with the workshops and talks, embarrassed by our atrocious linguistic skills and extremely grateful for the work of the translation team and the various English/Spanish speakers who helped us out. Special thanks go to our fellow guests Jean Barroca (@jeanbarroca) from the World Bank and Elisabeth Leegwater (@lizBCN) who effortlessly managed to deliver their own contributions in Spanish (a second language for them both) whilst making sure the two English guys were keeping up (in a third language). Colombian citizens don’t trust government and see it as fundamentally corrupt. Whilst this may be more like the UK than we would care to admit, the major difference is that it seems to be widely acknowledged on both sides. Large bureaucratic organisations see the need for change but are struggling to move fast enough and whilst looking outside for inspiration they are concerned that what works in one place, won’t work in another. Just as in the UK, people see digital innovation as “disruptive” and hard but exciting - the near future is seen to be digital but it has to work for and with people. Sustainable - innovation accompanied by training, and cultural change. Open - encouraging collaboration and co-design with transparent communication. Valuable - always focused on delivering maximum value to citizens. These seem pretty transferable to me. 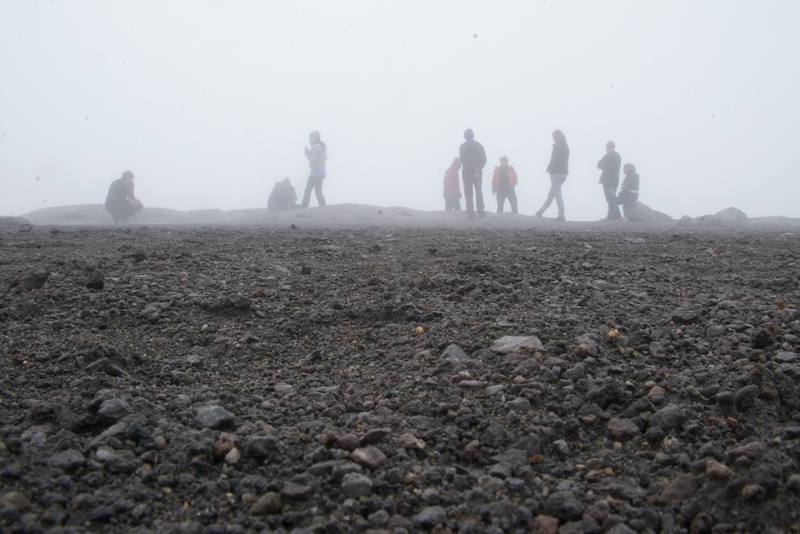 So in a somewhat dreamlike state induced by surreal fog on the moonlike surface of the Nevado del Ruiz and a visceral close encounter with death on the airport road in Bogota, we drifted home bemused and inspired by the warm and wonderful people and place that is Colombia. Thanks again Angelica and MinTIC. And actually I can speak Spanish see.